When it comes to decking your halls for the impending holidays, we love design inspired by the dreamy, nostalgic romance of the holiday season. 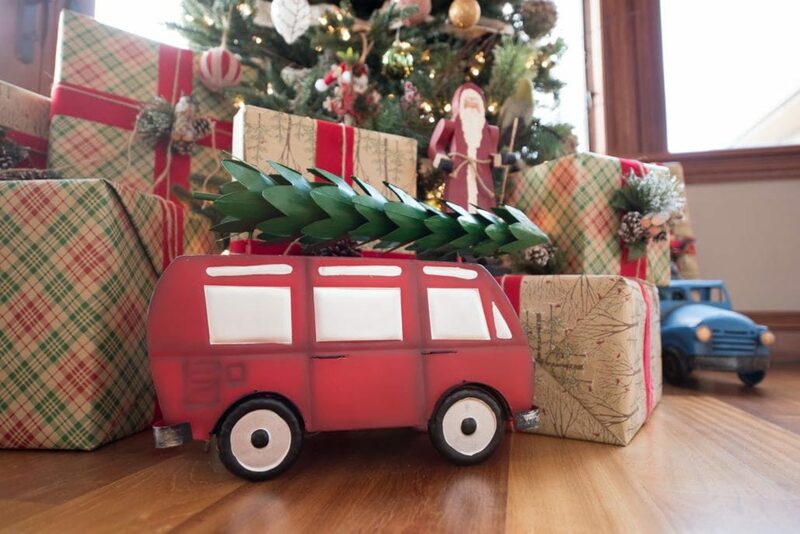 Read on for Design Studio’s favorite ways to create a merry and bright holiday season. 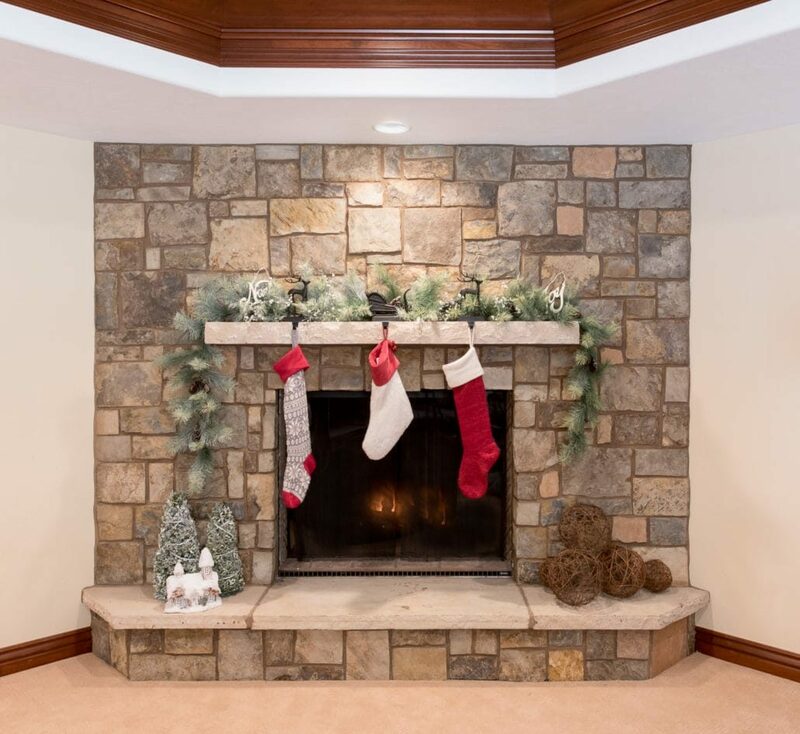 Holiday decor should never clash with your current design. Search for pieces and decorative elements that will blend with your existing design, without interrupting your lifestyle. For example, if you have a contemporary interior, feel free to step outside of tradition with unexpected colors. If your home is more neutral, a classic palette of whites and metallics is perfect. For traditionalists, go all out with green and red. 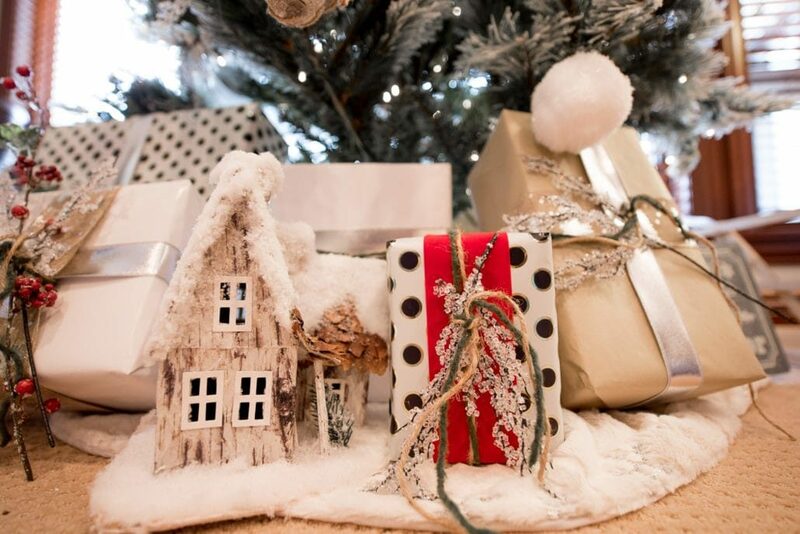 Incorporate these simple schemes into every decorative element from your tablescapes to your Christmas tree with ornaments, ribbon, and accessories. 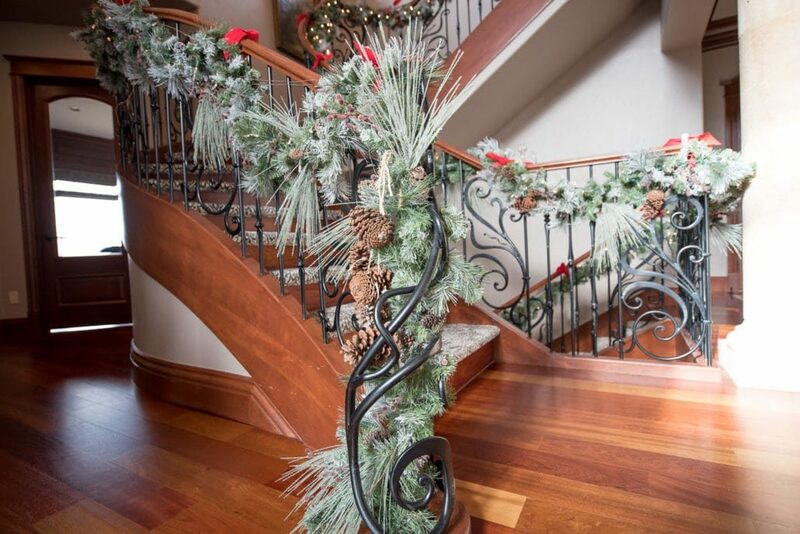 Treescapes are where you can have the most fun, incorporating ornaments and garlands that have been handed down with newer and more refined pieces. 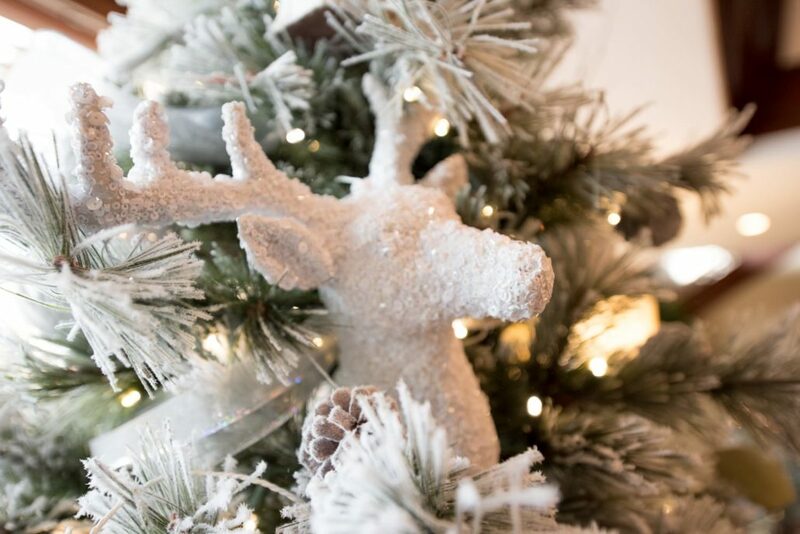 Some of our favorite decorative ornaments include small perched feathered birds, glittered reindeer, and crystal snowflakes. Coordinated gift-wrapped boxes strewn along the base will create a cohesive look while maintaining a jubilant seasonal feel. Forget dated icicle lights. Our favorite string lighting trend is battery-powered copper wires. These small but sweet fixtures are beautiful enough to put along your mantle, doorways, around your tree, at the base of a menorah, atop a dining table, or to wrap along your headboard. 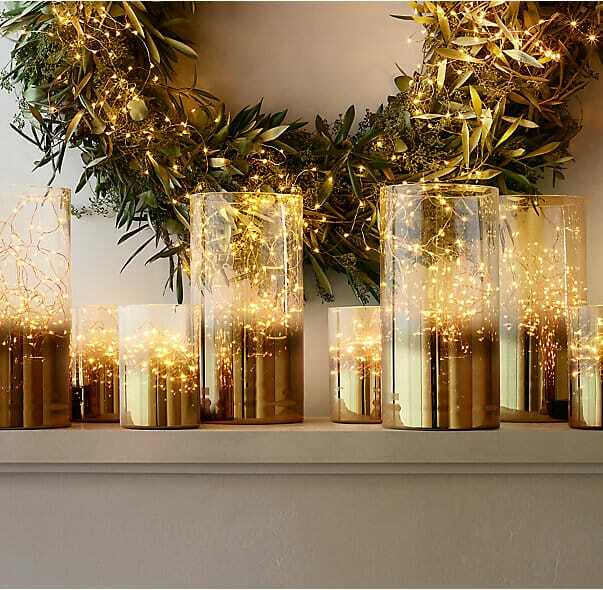 They offer a soft, ambient glow and are reasonably priced enough to install in every room of your home. 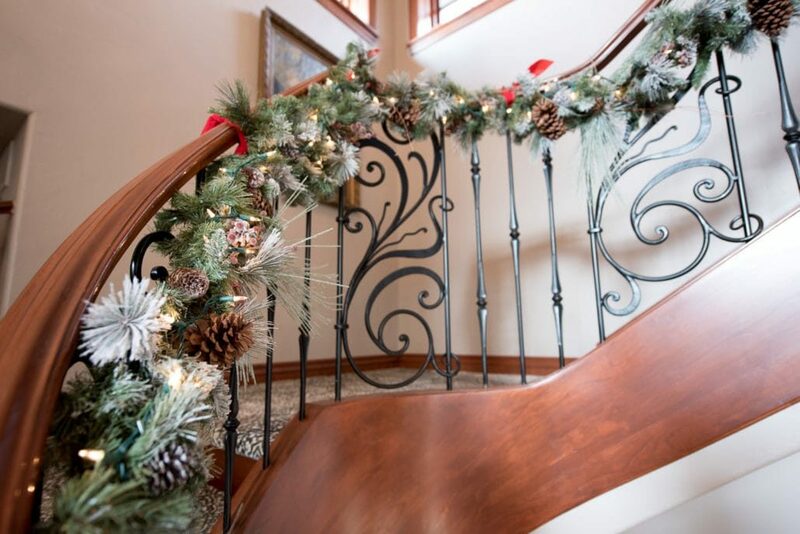 For more drama, consider adding handmade garlands to your banisters, and customize them to match your home’s existing palette using sourced faux berries, pinecones, string lights, and ribbons, adding a touch of glitter and shine to the space. 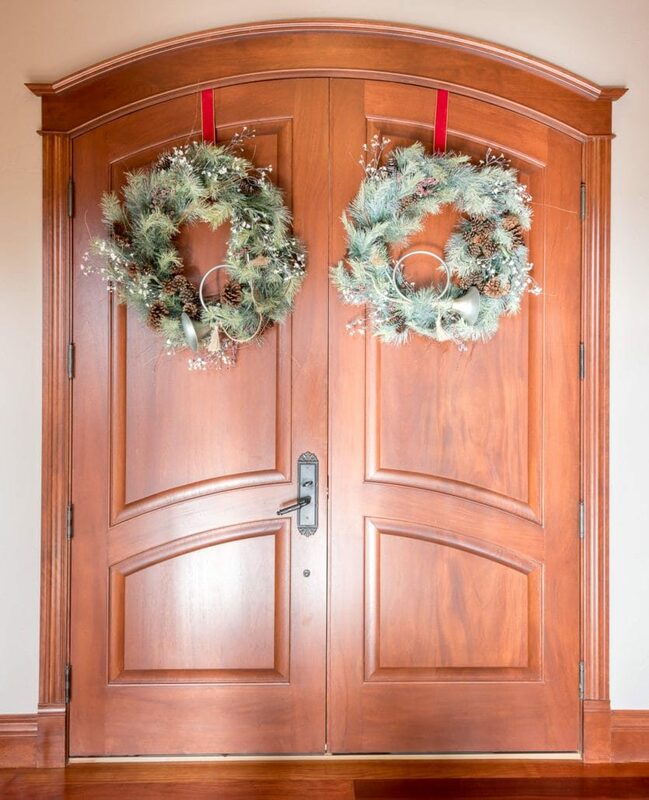 Wreaths also add create a beautiful focal point over interior or exterior doors, over windows, or even draped by a ribbon over mirrors. Silver and sparkle match seamlessly with almost any style of interior design, whether your palettes are blue, white, cream, beige, or bright and bold… silver is the perfect accent color. We love to use antique silver touches like napkin rings or serving ware. However, if you’re looking for a little extra shine, sequined or glittered accessories are always appropriate for the holiday season. The most important tip we can offer is to make sure your design is distinct, and 100% you. 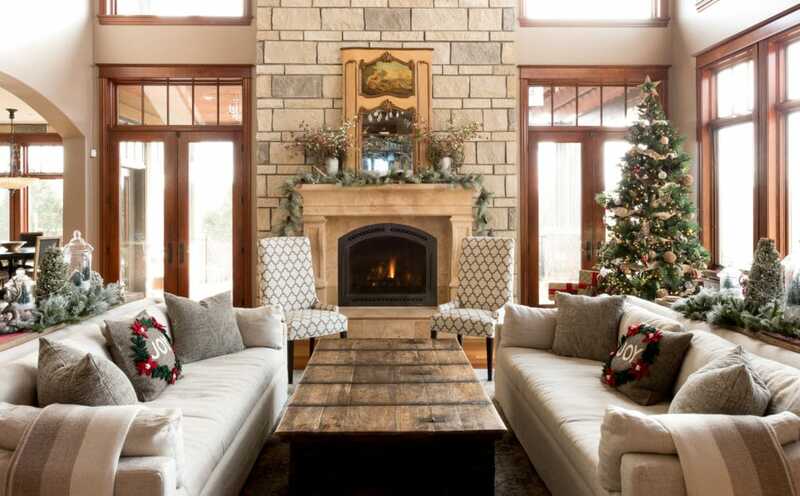 Your home should be a reflection of your holiday spirit. For more information on our services, or to speak with one of our interior designers, visit our website at Design Studio Interior Solutions.